The Picturing of History: Edmund Joseph Sullivan’s illustrations to Thomas Carlyle’s "The French Revolution"
Expanding on her work examining E. J. Sullivan’s illustrations to Thomas Carlyle’s The French Revolution, art historian Valerie Mainz will cover the roots of Carlyle in Scotland as well as her own personal research interests in the visual image and the making of histories in and over time. Given the French Revolution’s enduring impact (whether real or merely perceived) on French culture, the topicality of protest in light of the gilets jaunes, and the way visual imagery continues to influence how history is recorded, Mainz’s talk will be an appropriate introduction to how facing our times is often connected to how we faced (and recorded) times past. Valerie Mainz is a historian of art. She was previously a Senior Lecturer at the School of Fine Art, University of Leeds. 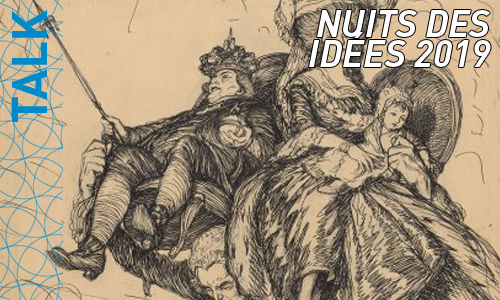 She specialises in 18th-century French art and the French Revolution.